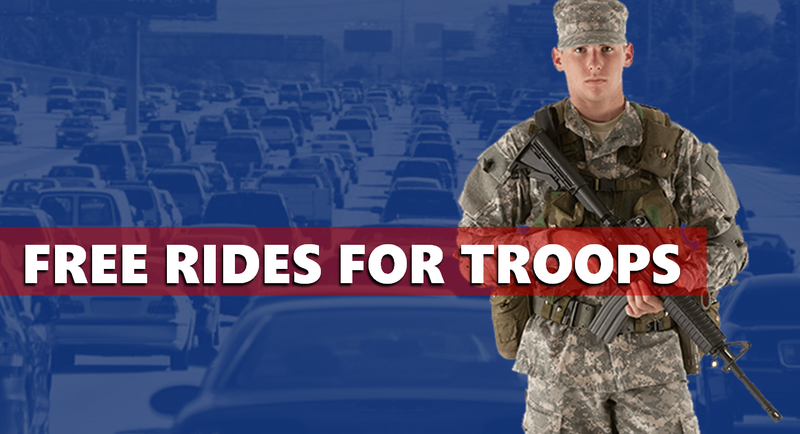 JASPER -- Redstone Car Service is offering free limousine rides from the airport or bus station for active duty military members returning home for the holidays. Interested family members need to contact Redstone — 800-505-0486 — prior to the military member returning home to arrange transportation. When the military member arrives, they will be met by a stretch limousine or black car from Redstone and brought home free of charge. Redstone will pick up a military member for free from airports and bus stations within a 100-mile radius of Jasper. They will drop off the military member to any location within a 25-mile radius of Jasper.